On this date in 1967, Tamla-Motown released I Second That Emotion by Smokey Robinson and the Miracles. The song peaked for three weeks in the United States at #4 on the Billboard pop singles chart in December 1967. 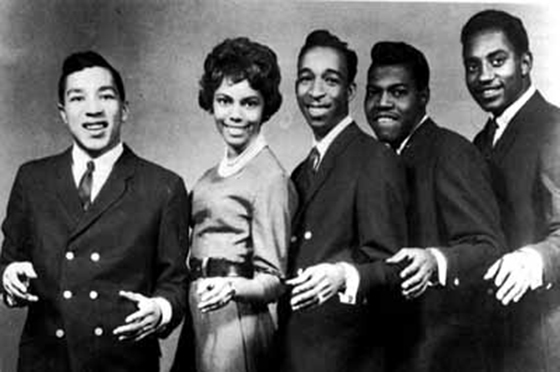 It became the Miracles' highest charting popular single since their 1960 hit, "Shop Around". Among other things, this is also National Evaluate Your Life Day. Or, you could just go back to bed. Some people born on October 19 who said some interesting things: Sir Thomas Browne, Leigh Hunt, Lewis Mumford, John le Carré, Russell Kirk, Jack Anderson, John Lithgow, Grover Norquist, Amy Carter, and Trey Parker. Is it time to start welcoming our computer overlords? IBM is betting its future on its artificial intelligence, Watson. Your Pennsylvania driver's license can no longer be used as federal ID, effective January 30. That's because a 2011 state law prohibits the PennDOT from complying with federal requirements. No one can walk a straight line while blindfolded. And no one knows why. The United Methodist Church's self-supporting publishing agency will close its distribution center in March and lay off 40 employees. Exiting distribution is the latest transition for the United Methodist denomination's self-supporting publishing agency, which three years ago closed its last Cokesbury retail bookstores nationwide to focus on selling online, over the telephone and through community resource consultants in 38 U.S. markets. It was odd enough to catch a manatee off Cape Code, 1,100 miles from its supposed home in Florida. Turns out she's also pregnant. Schools struggle with teaching seventh graders in a 'total mess' of an election season.